Australian Haters: I Want To Marry My Goat [VIDEO] - Joe.My.God. Pat Robertson’s Christian Broadcasting Network is weighing on Australia’s marriage battle in typical fashion, giving voice to the extremist Party For Freedom, which typically rails against blacks, Muslims, refugees, and immigrants. 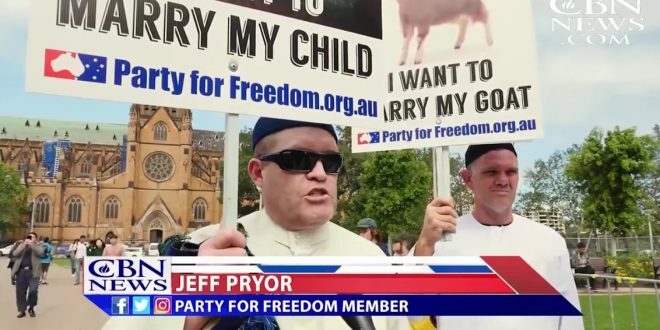 Australia’s Party For Freedom is an offshoot of Dutch extremist Geert Wilders’ party of the same name and their stunts included “storming” Muslim-friendly Christian churches while dressed as Muslim clerics. Watch below.